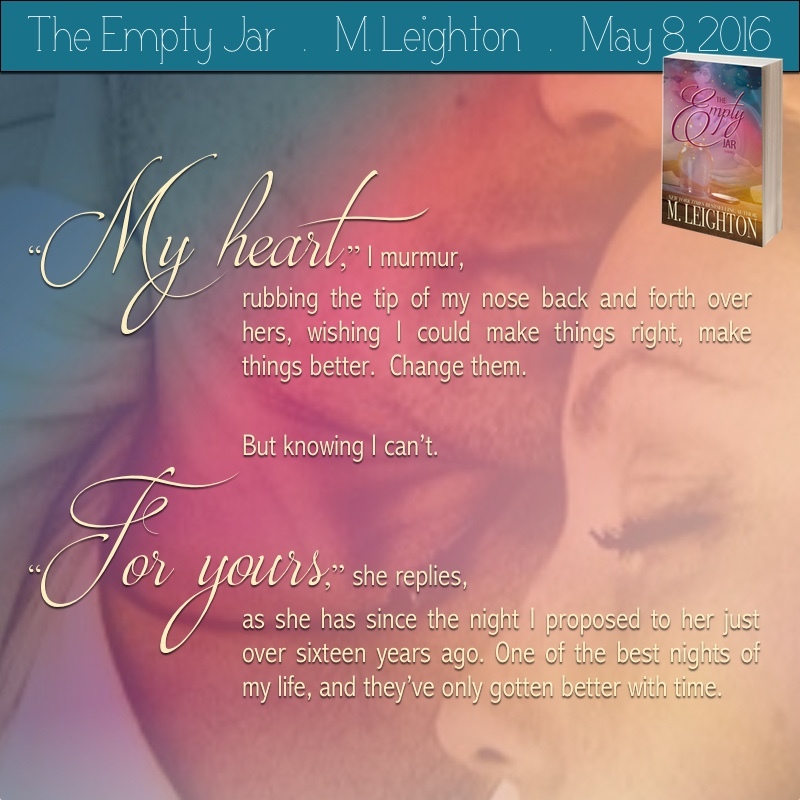 Today is cover reveal day for M. Leighton’s upcoming new release entitled The Empty Jar. She wanted to say a little something about the cover before she revealed it and the description, so here she is. First of all, a huge, heartfelt thank you to every single one of you amazing women who is helping me reveal this cover today. I appreciate everything you do for me, for authors and readers in general and for this community. 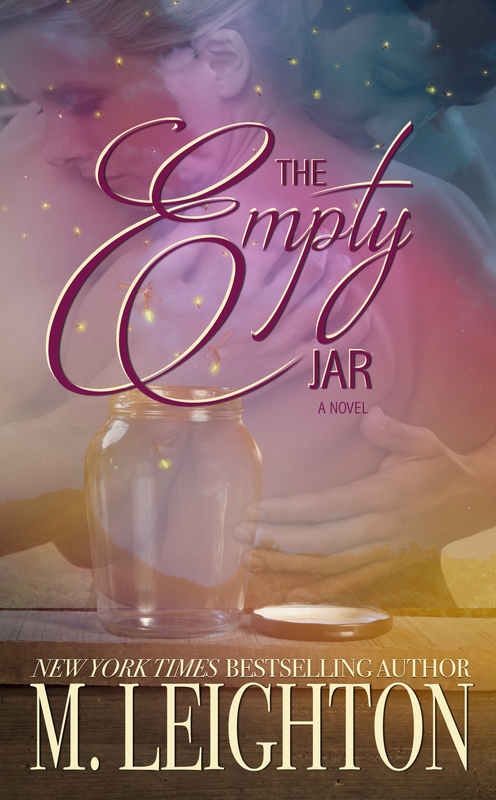 IT’S FINALLY TIME FOR THE EMPTY JAR COVER REVEAL!!! I feel like I’ve been waiting AGES to share this with you! When I got the paperback proof in the other day, I held it in my hands and I just stared at it. Not only is this story extremely special to me, but this is probably my favorite cover of all my books. Ever. When I look at it, I see so much more than just a picture. I see all the things that I find in life as well as what I put into the story that is The Empty Jar. It’s a blend of happy pinks and brooding blues. It’s light and it’s dark. There are highs and there are lows. There is morning and there is night. But if you notice the sky on this cover, there are little flickers of brightness in the bodies of the lightning bugs. Life is that way, too. Even in the darkest part of the night, there is a spark of hope. There is beauty. There is the romantic glow of a full moon, the silvery face of your mate, the delicate twinkle of fireflies. It’s all there if we look hard enough—that balance of beauty and tragedy. Below is a little more about the book. It’s hard to tell you much without spoiling anything, but I think you can get a feel for it. It’s such a special story. So raw, so real. Three months touring Europe. Romantic. Dazzling. Unforgettable. The trip of a lifetime. But some lifetimes are shorter. We couldn’t have known it would work out this way. No one could. No one could’ve guessed that something so beautiful could be so tragic. That’s what sacrifice is—beauty and tragedy. It’s pain and suffering for something or someone you love. And this is the ultimate sacrifice. One stunning act of true love.